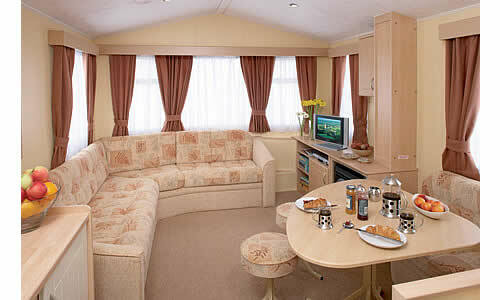 We have five immaculately maintained and well equipped holiday caravans for hire. 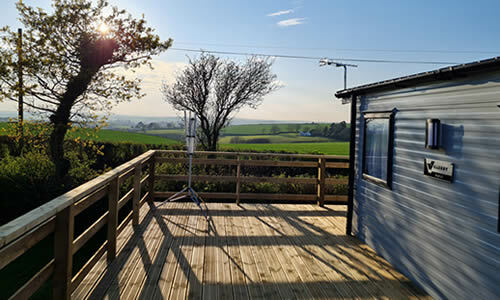 Each caravan has its own raised deck area with patio furniture where you can relax, listen to the birds singing and enjoy the wonderful countryside views. 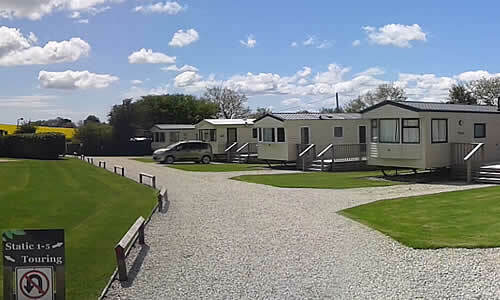 Our static holiday caravan hire weeks run from Friday to Friday, but mid week breaks and weekend breaks are often available. We are open all year. Please contact us for availability.